How Deleted / Lost Data can be Recovered? 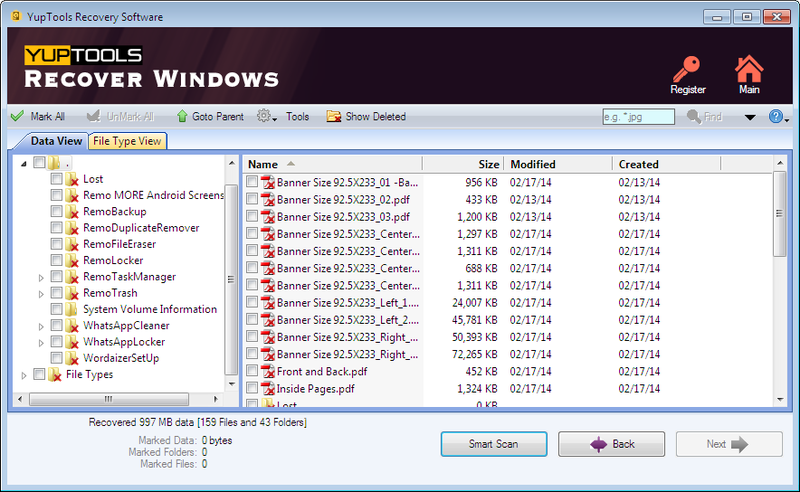 The most obvious question we come across from people after losing files is, how to recover Windows data? Answer is simple, deleted files are not really removed permanently from the drive. 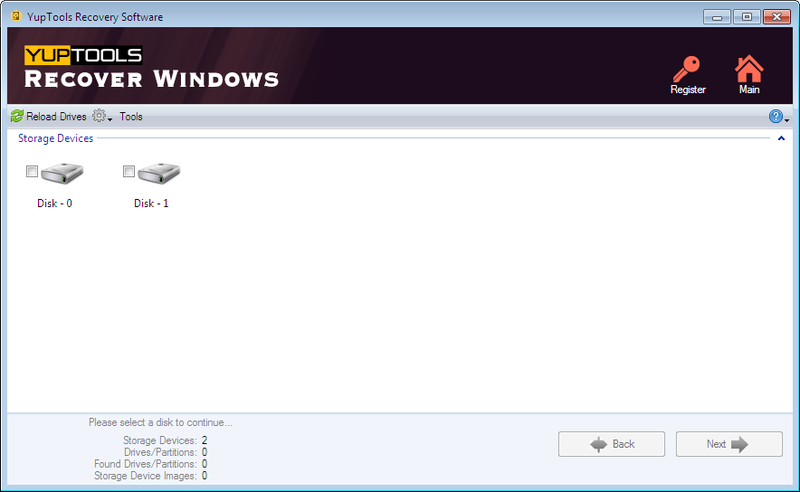 File system on Windows will remove only the reference of that file, but the content will still be present in the same location. Due to this reason, the deleted or missing files are recovered with the help of professional, effective and swift recovery application like YupTools Windows Recovery. No matter whether you Shift+Delete the files or empty the Recycle Bin, all erased files can be restored with the help of YupTools Windows Recovery Software. 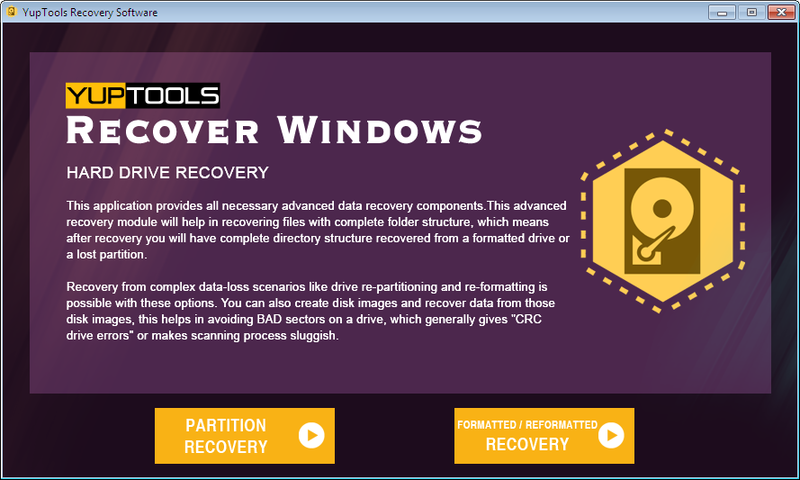 YupTools Windows Recovery lets you sit back and relax while it does all the Windows data recovery process itself. Download and check its restoring efficiency now!! YupTools Recover Deleted Files Software offers easy and accurate data recovery service to restore deleted and lost files due to any common reasons from different storage devices on Windows Operating System including Windows 10 OS. Photos are remarkable for keeping memories for a long term. Occasionally, these photos may met up with deletion or loss scenarios. However, YupTools Deleted Photo Recovery tool can easily recover images of various file formats. YupTools Recover Windows Software can recover files lost from hard drive due to any complex scenarios like formatting, reformatting, crash, corruption etc. with no great effort on affordable purchase. Are you unable to access some of your important documents, videos/compressed files? Relax, here is the best YupTools Fix Files Tool to repair documents(Word, PPT), videos(MOV,AVI) and compressed files(ZIP, RAR), PST and PSD files.